This fall while conducting some general research related to the House of Refuge, I started searching local libraries for items connected to the history of the House of Refuge. Through a simple catalog search, I discovered that the Public Library of Cincinnati and Hamilton County (PLCH) had three volumes of House of Refuge records! Even more exciting was how well these records complimented the collections at UC. 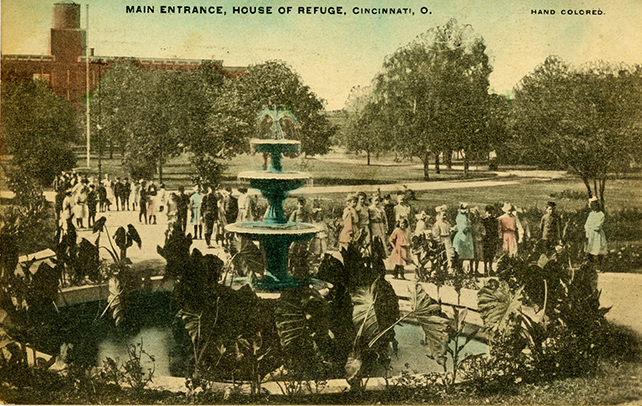 Although registers at the University of Cincinnati list the name of the children who were admitted to the House of Refuge, their offense (or reason for being sent to the House of Refuge), and some general family information, there really is not much detail on the specifics of each child’s case or information on what happened to them after they left the House of Refuge. The records at PLCH do provide specific information on inmates’ family history, offense, and the details of their release from the House of Refuge. 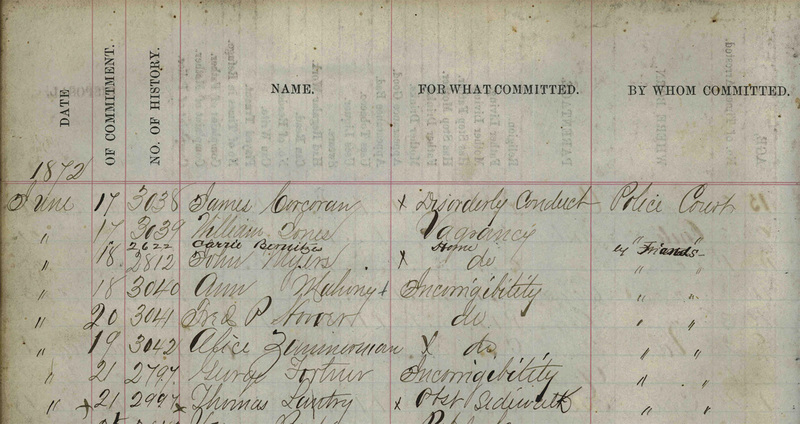 Together the case records and the minute book at PLCH provide a glimpse into the complicated lives of the children who were sent to the House of Refuge. As you can imagine, many children came from poverty-stricken families, and many had also experienced the loss of a parent or even both parents. What is really unique about the records at PLCH, though, is that they allow us to learn when children left the House of Refuge and where they went. This information is not included in the inmate registers available at UC. Many children and teenagers who had been accused to committing crimes were eventually released to a parent or family member. 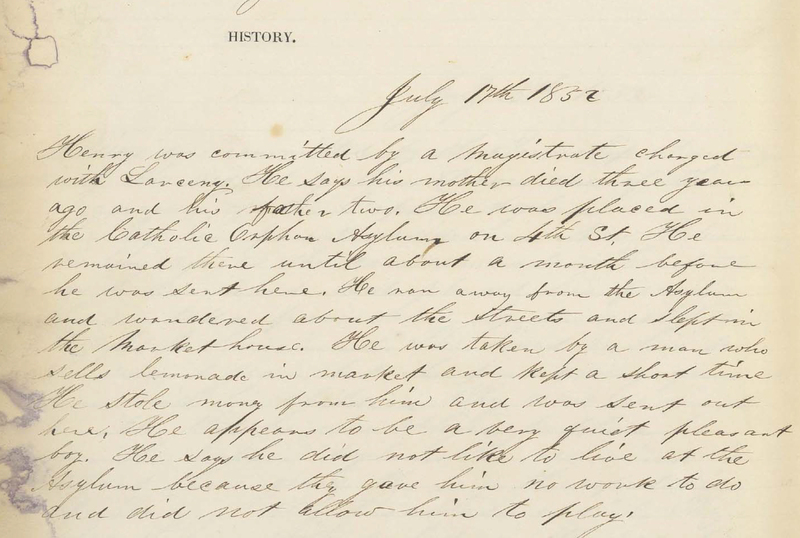 Children who did not have family to care for them were often indentured, many times to farmers, which was a common practice among juvenile detention facilities and orphanages during the mid-to-late 19th century.